Dr. Kim Tallbear joins M4R and challenges us to consider what it means to live out the words of Aileen Morton Robinson: Be less possessive, and do something every single day to undermine the colonizer. Join us for a conversation about thinking beyond identity to what it means to live in good relation with all our relatives. The language of identity is necessary to address inequity but shifting the lens to consider what it means to live in good relationship allows us to move beyond these silos into living together. If we want to talk about decolonizing our lives, we need to think about being in good relation instead of seeking inclusion in the settler state. Download Reconstructing sexuality with Dr. Kim Tallbear. Gender and Sexuality series. Users who like Reconstructing sexuality with Dr. Kim Tallbear. Gender and Sexuality series. Users who reposted Reconstructing sexuality with Dr. Kim Tallbear. Gender and Sexuality series. 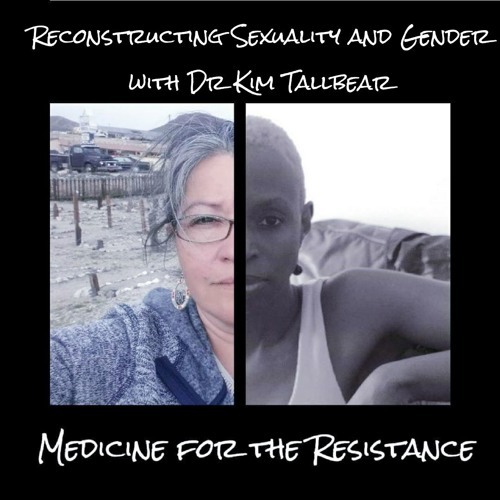 Playlists containing Reconstructing sexuality with Dr. Kim Tallbear. Gender and Sexuality series. More tracks like Reconstructing sexuality with Dr. Kim Tallbear. Gender and Sexuality series.